Jane Kathleen Clifford- Age 80, December 28, 2018. Preceded in death by her parents, John and Ruby Clifford; grandchildren, Melanie and Kurt. 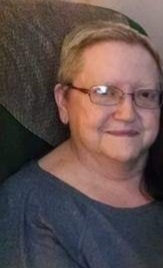 She was survived by her children, Leta Crow (David), Ron Williams (Phil) and Sheila Crow; grandchildren, Bridget Polson (Ron), Courtney Johnson (Bobby) and Bree Williams; numerous great-grandchildren; sister, Sue Connor. She was a great mother, mother-in-law and grandmother. A visitation will be from 1-2 p.m. on Monday, December 31, 2018 at Harpeth Hills Funeral Home. A Graveside Service will be at 2 p.m. on Monday at Harpeth Hills Memory Gardens. I love you so much Mama Jane. I will forever miss you and look forward to seeing you in heaven. You were the best grandmother a girl could ask for. I love you Mom!!! You’re in the presence of the Lord and having a glorious time! I wait to see you and Melanie again!!! I am so sorry for the family’s loss. I took care of Miss Jane at the nursing home in Linden. I thought of her like a grandmother and will miss her dearly. I am so sorry I was not with her to say good bye, but I know she is in a wonderful place. I love you Miss Jane.